Frequently Asked Questions FAQ | Accufigures, Inc.
Our customers ask us these questions frequently, so we put this list together for you. Review the FAQ below to answer some of the commonly asked questions about web development. Don’t see your question on the list? Contact us to get your questions answered and schedule your FREE 30 minute consultation. Website design prices are based solely on what you need to have done to avoid surprises. Schedule your free consultation with us to avoid the headaches. How long will it take to get my website done? The time it takes to complete a great website design depends on the complexity of the website. For example, a 2 or 3-page website won’t cost as much as a website outfitted with an e-commerce store or blog. What type of software applications do you use to build your websites? The website design software we use depends on the type of project that is needed. If you are interested in updating the website on your own, then we use WordPress. However, if you are in need of a larger, highly customized project, then we use PHP. We also use all major 3rd party software such as Clickfunnels, Infusionsoft, Ontraport, MailChimp, and more. As a matter of fact, we do. We offer customized website copy that is compelling, professional, SEO optimized, and keeps your audience engaged during their visit. The first step is to gather up your website design ideas and contact us directly to discuss your project. The most common items are a domain name and hosting. If you don’t have them, we offer those services as well. Website maintenance refers to keeping your website healthy. It’s also a way to reduce the costs of fixing major issues with website performance. Over time, customer search behavior changes or your website may slow down or break. These things have a direct impact on the performance of your website, and aren’t caught until something major happens. Our website maintenance service is there to seek and destroy these issues before they cause major problems. Why should I use Accufigures? And what kind of name is that? Accufigures, Inc. is a web development, digital marketing, video editing, and copy writing firm in Tampa, FL. We offer website design solutions that are tailored to meet your specific needs. From concept to completion, we work with you directly and guarantee you will be satisfied with your design. Our name represents the culmination of services our firm offers in addition to website development. This includes video editing, motion graphic design, ad campaigns, and training. I still have questions, who should I speak with? Are we missing something? Please feel free to contact us directly either by clicking the chat icon to speak with someone immediately or contact button below to schedule your free, 30-minute consultation. We are here to make sure you get the website you deserve. This process shouldn’t be confusing, and we want to make sure you fully understand what we do, and how we can help you. If you still have questions, please schedule a FREE 30 minute consultation with us. We specialize in building websites that turn your target audience into returning customers. 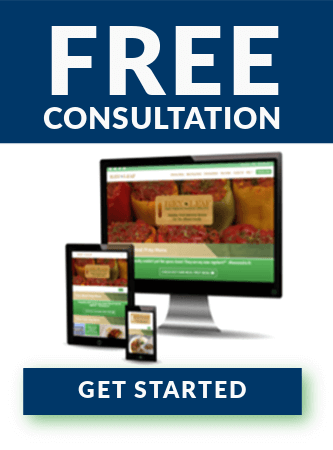 Click the button below to schedule a FREE 30 minute consultation with us. We look forward to working with you on your next project!